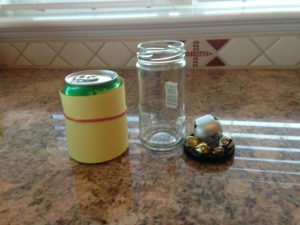 As soon as I read about this Christmas science experiment, I had to try it but the kids were both busy. Dancing bells? I also tried some dried cranberries. I used the excuse of wanting to see how it worked before doing it with them. Truthfully, though, I wanted to try it more than once. The name of this science fun, Dancing Jingle Bells, starts lots of questions immediately. How can bells do that? Will they really dance? What does experiment use? I could hardly read through all of the post. Fortunately, a few bells were right at hand with the box of decorations. 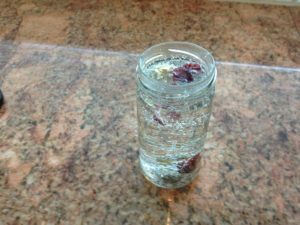 This experiment needs a glass jar or drinking glass, bells, and a clear, fizzy soda pop. 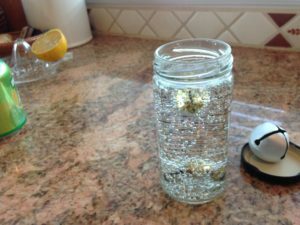 Pour the soda pop into the jar or glass and drop in a few bells. It’s hard to see but bubbles start to form on the inside of the glass and collect all over the bells. Nothing happened for a while but suddenly, one of the bells popped up, stayed at the top, and then slowly drifted back down. Just about the time I thought it was only going to happen once, another bell danced its way to the top. The bells danced a few more times but now there were fewer bubbles. We’ve done this experiment before with raisins. From baking earlier in the week, there were a few dried cranberries left over. Cranberries are both Christmasy and small and did they ever dance. Up and down like yoyos. Even after more than 20 minutes, cranberries were still coming to the surface. When some of the bubbles popped, the berries would drift back down to recharge. Although there were three sizes of bells, the largest one took up too much room in the jar to use. I was sure the smallest one of the bells would dance if any of them did, but it didn’t at all. This small bell has been in the decoration box for years so quite likely it is thicker and heavier even if smaller. That’s what science is about, finding answers to questions. 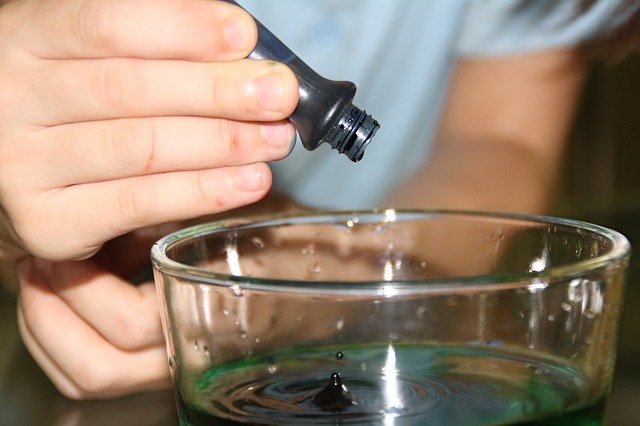 When doing this experiment with kids, talk about it first. What do they think will happen? Will this work? What do they know about soda pop and bubbles? There will be lots more to talk about after doing it too! Can you hardly wait to try this Christmas science experiment of dancing bells and cranberries? Kids are exceptional scientists with wanting to find out already wired into the genes. This candy cane science fun rates almost as appealing as eating one. Kids enjoy doing it more than once to check out the results. It doesn’t take very long for the candy canes to start melting. 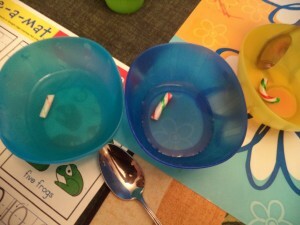 After watching for a bit, kids can give a stir, but they need to use a different spoon for each liquid. What’s happening to the candy canes in each bowl or jar? Of course, adults know which liquid will cause more melting but kids don’t. It’s exciting for them to see the color come off and start swirling in the liquids. It doesn’t take very long at all for candy cane to start getting smaller. Some children are reluctant to make a guess about what will happen. It’s surprising how kids so young can be concerned about being wrong. Predicting what could happen isn’t about right or wrong, it’s about asking questions and testing possible answers. 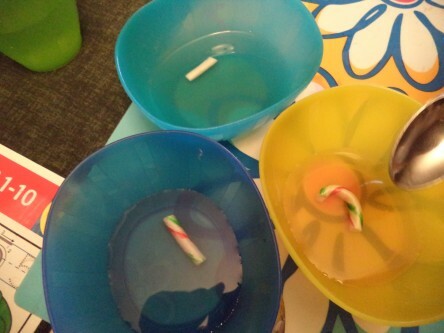 Once kids have done this candy cane science experiment, they may want to try with other liquids like milk or fruit juice. While we hope this experimenting doesn’t transfer over to meal times, there’s a good chance it could. Candy cane science fun may not mix well with soup. Or bath water! Oh, oh, does the elf on the shelf like science too? Science kits are a popular gift for kids. Either for homemade science kits, or to add to a purchased one, here are some items for science fun and play. Last month, with the help of little hands, I did a whole series of blog posts on tools kids could use for science so these suggestions have been child-tested and approved. -and, of course, some water but the water can be in the sink, not the kit. Goggles will protect eyes during experiments. Some buttons, popsicle sticks, corks, elastic bands, straws, small balls, and balloons are also fun to have in a science kit for playing and experimenting. Nature supplies some science treasures like leaves, sticks, rocks, pine cones, bugs, flowers, small critters, wind, rain, sun, and more. Our own bodies are another source. What do hands, feet, and other body parts do? Bodies can smell, taste, touch, see, hear, and more. There is endless science as we all learn about our bodies. Children will often find other things they will use for science exploration. Instead of a small science kit, you can find a large plastic pin to hold all these items. Or, you may want to have many small containers with only a few things in each one. This gives the advantage of being able to mix the items so that kids find different ways to combine and use them. This encourages more discovery and creativity. Changes are almost like having new toys. Do you have some suggestions for what in include in homemade science kits? To check out last month’s series on science fun, visit the blog for posts.